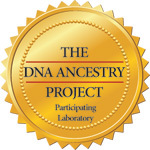 DNATCA's popular home swab paternity kit is now $99 for the complete test. Results in 3 to 5 business days. This test will provide conclusive answers quickly and discreetly for those who need to find out the truth about paternity before deciding on the next step. Online orders can be placed 24/7 and will be shipped the same business day. Orders can also be placed by calling the laboratory toll free at 1-877-714-6360. Court admissible home test kit now available! Clients now have more options than ever. If you need the results for court use, the collection of the sample must be witnessed by an impartial 3rd party witness. This process is called "chain-of-custody". There are now two options. The Home Legal Test Kit for $230 provides all chain-of-custody materials for you to arrange the witnessing of your court admissible testing. If you would like our laboratory to arrange the witnessing at one of our 3000 locations in the US, the cost for the DNA test is $230. Two simple options to suit every situation! The court admissible home test kit can be placed 24/7 and will be shipped the same business day. How did we end up where we are today? DNA studies have shown that people shared a common ancestor who lived in Africa between 50,000 to 200,000 years ago. As our ancestors migrated out of Africa into the rest of the world, small changes called mutations occurred in their DNA. As generations passed, each mutation links our ancestor to a specific time and place in history. The mutations that we find in our own DNA tell the story of our own ancestral past. The Ancestry DNA Test Kit can help you trace your deep ancestral origins and pursue the origins of your surname. The Ancestry DNA test kit can be ordered online 24/7. DNA testing is a valuable tool for proving relationship and facilitating your immigration application. Your case will be handled directly by our affiliated legal testing laboratory which is recognized by U.S. Citizenship and Immigration Services. To proceed, fill out the Petition Form online or contact our immigration testing representatives toll free at 1-877-714-6360. Appointments will be arranged for the parties involved in US and overseas. Complete test, includes all supplies, results in 3 to 5 business days. Take the court admissible test in the privacy of your own home. Save time and money. Schedule an appointment for chain of custody testing at one of our 3000 sites throughout the US. Fully recognized by USCIS. Appointments arranged within US embassies worldwide. Trace your paternal and maternal ancestry with your DNA.